"Benchmark" describes both the company's name and the DAC3 HGC's performance. Wouldn’t it be great if you could buy a reference-quality headphone amp, DAC, and preamp all in one small footprint? Well, you can. 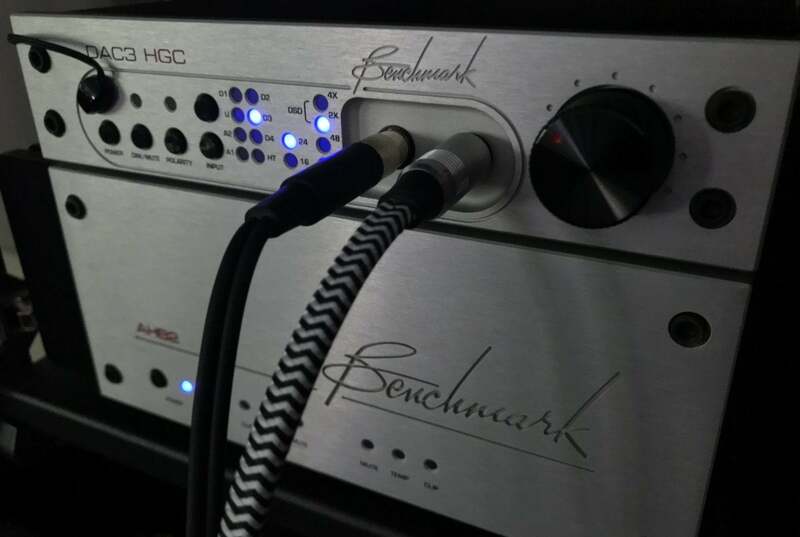 Look no further than Benchmark’s outstanding DAC3 HGC, which follows in the footsteps of the company’s acclaimed DAC2 and DAC1. The DAC3 HGC has two sets of analog RCA inputs and five stereo digital inputs (two Toslink optical, two coax digital, and one USB Type B). If you plan to use the Benchmark DAC3 HGC with USB-C equipped computers (like I did), you can pick up a USB-C to USB Type B cable online. If you intend to play hi-res music files greater than 24-bit/96kHz, the USB or coax digital inputs are recommended. The front of the unit sports two 1/4-inch headphone outputs, capable of driving two pairs of headphones simultaneously. The headphone outputs are driven by Benchmark’s HPA2 headphone amplifier. Benchmark claims the HPA2 amp has an output impedance close to 0 ohms, delivering a high damping factor to maintain control over a headphone’s transducers. Each headphone output performs a slightly different function on the DAC3 HGC. Plugging a headphone into the left output mutes the DAC3’s analog outputs, enabling you to instantly switch from listening to speakers to headphones. Plug your cans into the right jack and all outputs remain live, so connected speakers and headphones will play at the same time. The DAC3 can drive two headphones simultaneously. 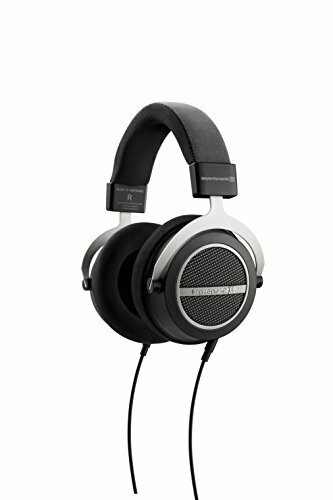 Here, the DAC3 is driving both Focal Clear and Beyerdynamic Amiron Home headphones. You can disable the auto-mute feature of the left headphone output by adjusting the DAC3 HGC’s internal jumpers. Speaking of jumpers, you can even adjust the HPA2’s gain, which will decrease the default output by either 10db or 20db. Benchmark provides this control so you can fine-tune the DAC3’s performance to your headphone’s impedance. I should note that in addition to the DAC3 HGC, the company sells the DAC3 L and DAC3 DX. All DAC3 models offer identical audio performance, the difference lies in each model’s inputs and outputs. The DAC3 L, for example, has no headphone amplifier—it’s just a DAC and preamp. The DAC3 DX, meanwhile, adds an XLR AES digital input while dropping the two analog stereo RCA inputs found on the HGC and L models. The DAC3 HGC sports the latest ESS Technology ES9028PRO 32-bit D/A converter chip, which performs all the unit’s digital-to-analog conversion. The chip is aimed at audiophile and recording-studio gear. Among the ES9028PRO’s benefits over previous—generation ESS chips are active 2nd and 3rd harmonic compensation, lower THD+N (total harmonic distortion and noise), lower passband ripple, improved frequency response, and faster PLL (phase-locked loop) lock times. The Benchmark DAC3 is built to serve as the heart of your hi-res and universal disc collection. 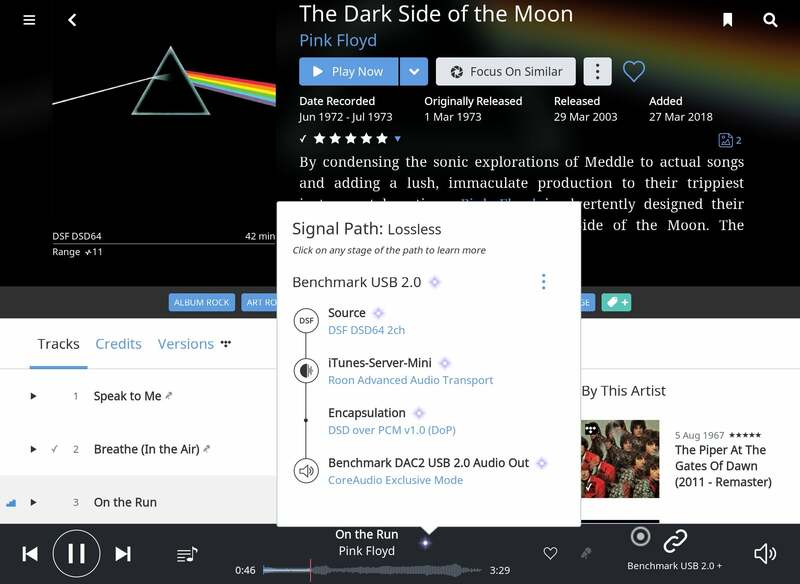 There is native support for every major hi-res lossless codec, including FLAC, ALAC, and DSD. If you’re a purist, you’ll be happy to note that both DSD and PCM are converted natively to analog. Benchmark says that DSD is transported with bit accuracy over DoP 1.1. There’s no conversion of DSD to PCM, or PCM to DSD prior to the analog stage. The DAC3, however, won’t decode MQA tracks. DSD is transported with bit accuracy over DoP. 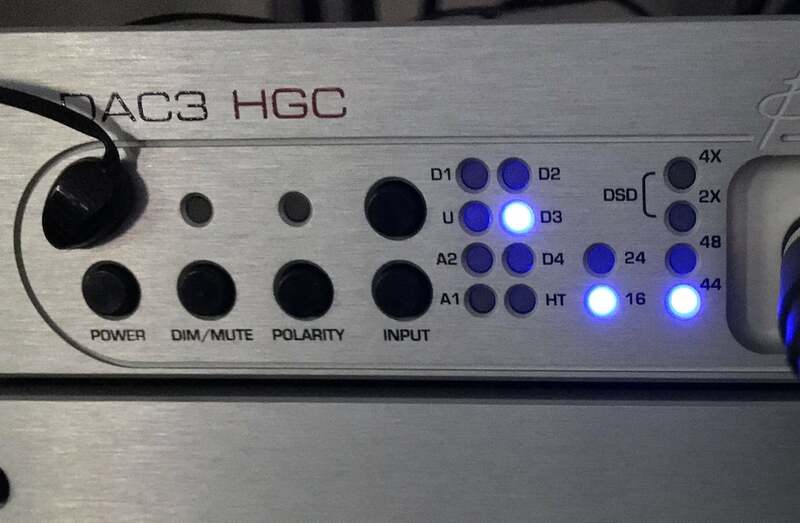 The DAC3 HGC is decidedly old school when it comes to informing you of what’s it up to. If you’re even remotely familiar with the DAC1 or DAC2 models, you’ll note that the DAC3 hasn’t undergone any significant cosmetic facelift over its predecessors. There’s no display screen anywhere on the unit. Dark or glowing blue and red LEDs on the brushed-aluminum front panel tell you everything you need to know about which input is active, whether the incoming signal is PCM or DSD, and the bit and sample rate of the incoming signal. Unfortunately, you’ll need to be close to the device to read the labels next to those LEDs. 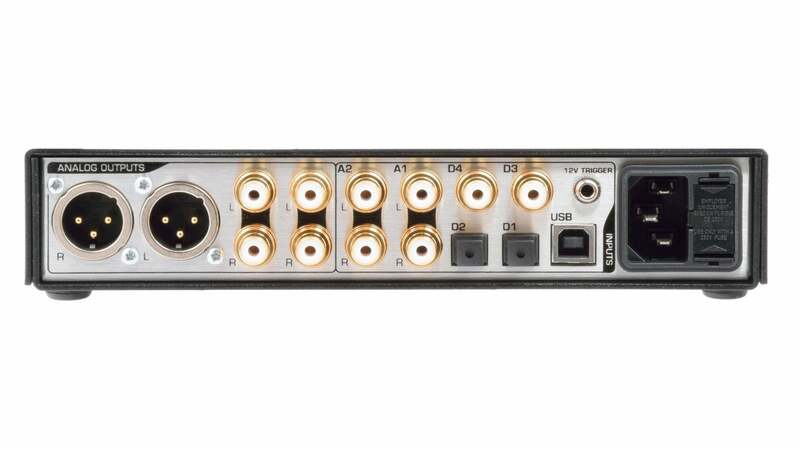 If a sampling frequency exceeds 48kHz, the DAC3 doesn’t have a straightforward way to show it. Instead, as you can see in the photo below, the DAC3 uses LED indicators with 2x and 4x labels on its front panel—you need to do the multiplication in your head. Decoding a 24-bit/96kHz audio file, for example, will light up the 24, 48, and x2 indicators. It’s awkward to describe, but simple to use once you understand it. There’s no display panel on the DAC3. Inputs and music file properties are indicated with LEDs. Here, the DAC3 is playing a 16-bit/44kHz file from digital input three (D3). The DAC3 HGC has a servo-driven, knurled volume control. Raising or lowering the volume via the remote control physically moves the volume control on the DAC3. When you move the volume control by hand, you can’t help but love its smooth, precise motion. A small red dot on the volume control shows you the volume’s current position. It would have been nice if the volume dial had an illuminated light (or a front-panel display), so you could see the volume level from a distance. Speaking of volume, the DAC3 has two mute settings, both of which can be activated via the handheld IR remote. Mute fully silences the volume, while DIM attenuates the volume by -20dB. The DIM feature is nice if you want to lower the volume instantly to hear something without missing any of the program you’re listening to. The Benchmark DAC3’s die-cast aluminum remote control is one of the most well-constructed remotes you’ll encounter. Unboxing the DAC3 is an audio geek’s dream. You’re greeted by a spiral-bound, 8.5 x 11-inch color user manual. New users would do well to review its contents. If you don’t read it, you might get downgraded performance—the unit’s default USB 1.1 configuration is a great example (as noted below). Experienced users should keep it as a reference. There are hidden features you won’t know about unless you read the manual. The DAC3 HGC has a home theater bypass feature, for example, which makes it easy to incorporate into surround-sound installations; coax digital input D4 can be reconfigured for digital pass-through; and the onboard, bi-directional 12v trigger can be used as a master, a slave, or disabled altogether. The list of possible tweaks goes on and on. The manual also shows you how to fine-tune many of the DAC3’s settings, either with the remote control or by moving jumpers on the unit’s circuit board. 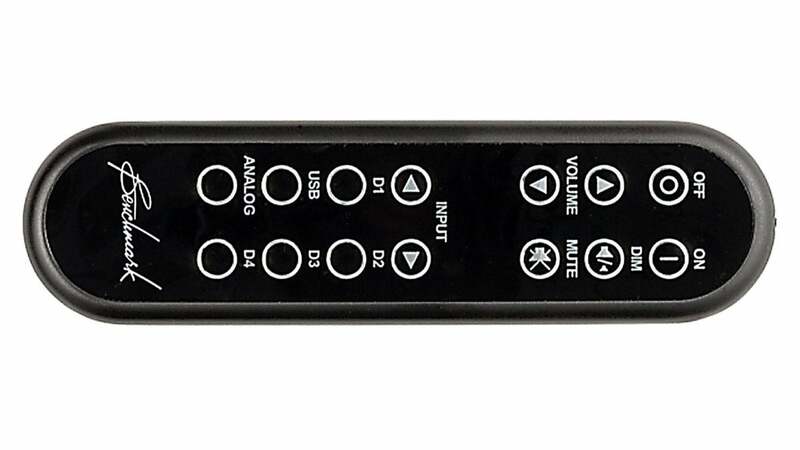 To switch the DAC3 from its default driverless USB 1.1 (with an upper limit of 24-bit/96kHz) to USB 2.0 (with bandwidth sufficient for up to 24-bit/192kHz and DSD), for example, you hold down the USB button on the remote for three seconds. Headphone amplifier gain and digital passthrough functions are achieved by setting jumpers. As you can probably tell, the Benchmark DAC3’s design puts you in complete control of its operational parameters. The DAC3’s rear panel with its balanced XLR outputs and gold-plated RCA jacks. 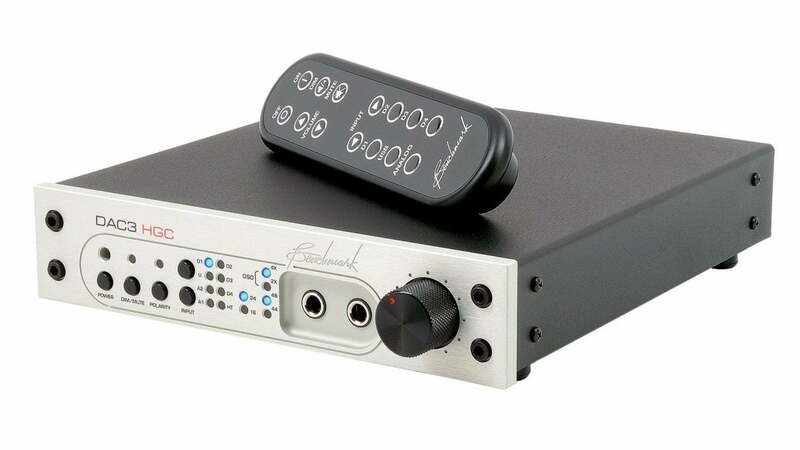 The Benchmark DAC3 HGC looks like a premium product as you hold it. It feels dense and solid for its small size. The rear digital and analog inputs and outputs are gold plated to limit oxidation. You’ll find a pair of balanced (XLR) outputs and two pairs of female unbalanced (RCA) stereo outputs. The XLR outputs are set to deliver professional studio levels. If you plan to use a power amplifier to drive speakers with the DAC3, you might need to enable the DAC3’s 10dB or 20dB pads by setting the appropriate jumper. I used Benchmark’s AHB2 power amplifiers with the DAC3, so no further jumper settings were required. Once again, the in-depth user manual does an excellent job explaining all this. Benchmark’s infrared remote control stands apart from the crowd. Its hefty, die-cast aluminum design puts it in sharp contrast to most of today’s remotes. The buttons themselves protrude slightly from a single, thin metal sheet gracing the remote’s face. Lettering is large and easy-to-read even at a distance. The remote, unfortunately, lacks any backlighting for low-light situations. The DAC3’s IR input is clearly visible on the front panel. I affixed a Niles Audio IR emitter to the unit’s faceplate and sent commands to the DAC3 via my IP-to-IR network control system. The Benchmark DAC3’s DAC, headphone, and preamp functions are outstanding. I tested the preamp section with two of the company’s AHB2 power amplifiers with the amps set to bridged mono. I paired a set of of RBH Sound’s top-of-the-line Signature SV-1212NR Reference speakers with the amps; served content via an Oppo UDP-205 universal disc player, Roon Media server, and Tidal; and used Focal Clear, Oppo PM-2, and Beyerdynamic Amiron Home headphones in my listening tests. I teamed the DAC3 HGC with a pair of Benchmark AHB2 power amplifiers and RBH Sound speakers for stereo listening. Jazz, hip-hop, classical, or rock, the Benchmark DAC3 proved a maestro of any musical genre, consistently demonstrating tremendous balance, refinement, neutrality, and most of all, command. If the recording has it, the Benchmark is capable of rendering dynamic bass that never loses control, resolves fine musical details without erring toward being bright, and displays a beautiful midrange neutrality that doesn’t cross over to becoming analytical. Those characteristics were all on display playing the hi-res versions of Pink Floyd’s classics Wish You Were Here and Dark Side of the Moon. Each of the alarm clocks on “Time” during the track’s opening stood firmly in space and time. The bass notes that come in at the song’s 00:59 second mark burst out and faded with control and refinement. The DAC3’s dynamics are superlative. Listening to the chorus of Mozart’s Requiem was like experiencing a performance from the balcony in a concert hall. In my notes I underscored the way that the DAC3 balanced both dynamics and delicacy. Playing Dido’s “No Freedom” via Tidal from the album, The Girl Who Got Away, I noted the Benchmark’s ability to create a deep, wide, and layered sound stage that I normally don’t equate with this song. Dido’s rich vocals were rendered with appropriate body and detail. On the DSD64 version of Steely Dan’s Gaucho, sax lines were pure, smooth, and never brittle. Once again, the sound stage was deep, wide, and detailed. I turned to the hi-res version of Led Zeppelin’s “Ramble On.” Plant’s vocals were rendered with precision and timbral accuracy, and Jimmy Page’s riffs exhibited the utmost refinement. Finally, the DAC3’s transparency and control brought out each headphone’s strength, weakness, and character with brutal honesty. Webster's defines "benchmark" as "any standard or reference by which others can be measured or judged." I can't think of a better description of Benchmark's DAC3 HGC, but there's a steep price tag attached to that superlative performance. The DAC3 HGC is undeniably geared toward the discerning music lover or audio engineer who values peak performance. 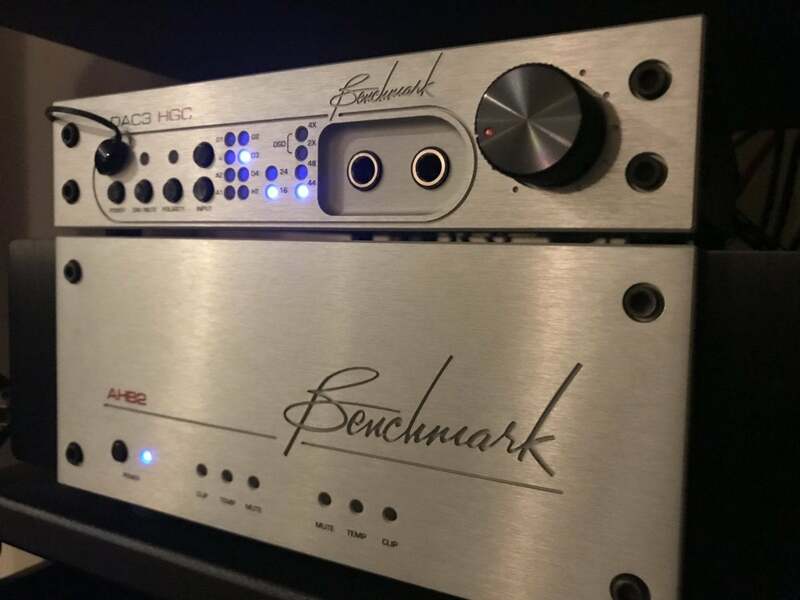 If you’re passionate about music, have the funds, and aren’t looking for bells and whistles, you can’t go wrong with Benchmark’s DAC3 HGC. Pair it with the right headphones and you’ll have many days and nights of sonic bliss. An outstanding, reference-grade DAC, headphone amplifier, and preamp. No LED screen; can't decypher unit's settings at a distance.